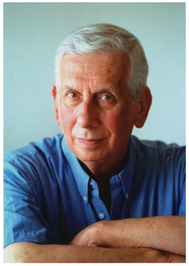 Abraham Rabinovich | Author and Journalist. Abraham Rabinovich is a journalist born and raised in New York City. A graduate of Brooklyn College and a US Army veteran, he worked as a reporter for Newsday and other newspapers and arrived in Israel on the eve of the Six Day War. After completing his first book, The Battle for Jerusalem, he joined the Jerusalem Post as a reporter and feature writer. His freelance articles have been published in The New York Times, the International Herald Tribune and The New Republic, among other publications. He is the author of six books, including The Yom Kippur War, The Boats of Cherbourg and Jerusalem on Earth. He lives in Jerusalem and has two daughters and five grandchildren. An interview with Abraham Rabinovich. Abe discusses his book, The Yom Kippur War, in this interview by Connie Martinson. He describes the events leading up to the war and the reluctance of Israeli officials to believe that war was imminent even though the soldiers on the front lines could clearly see the Egyptian and Syrian armies preparing to attack. He talks about his five years of research and shares his experiences interviewing the men who fought and their commanders. Among the generals described is Ariel Sharon, who led Israel’s crossing of the Suez Canal.